Do you care passionately about your local community? Is there something you want to change? Are you ready to take challenging decisions? Why not stand for what you care about and become a local councillor? Ever thought about being a Welsh councillor? Although Wales’ next local elections won’t be held until 2022, it’s not too early to start thinking about becoming a councillor. The 'Be a Councillor' guide for candidates is intended to be used as a quick introduction to the basic information that you need to consider when planning to stand for office. There are links throughout to more detailed information on the Internet and insights from serving councillors to help you decide if being a councillor is for you. Ever wondered what life would be like as a local government councillor? 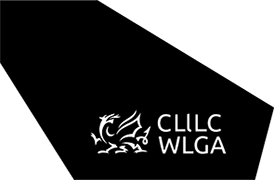 Here are a selection of video clips showcasing the role of a local government councillor.